More clouds than sun. High around 65F. 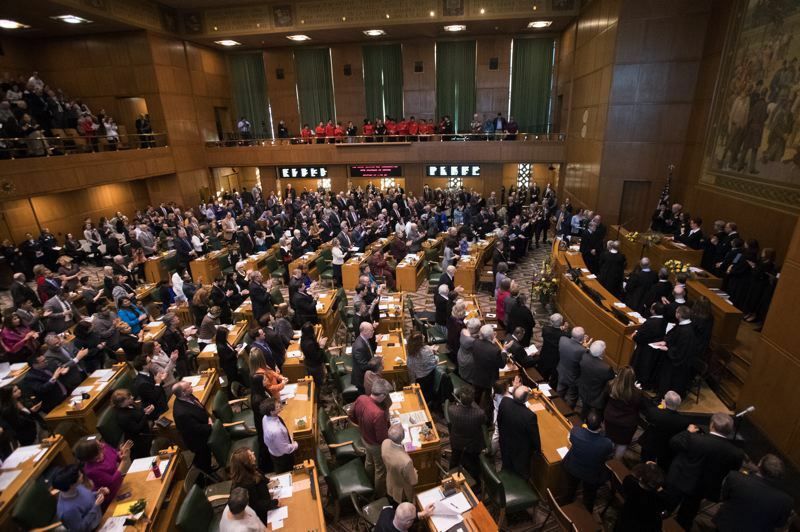 Winds light and variable..
Oregon labor unions are hoping the Democrats' big majorities in both the state House and Senate could lead to a pro-worker agenda for the 2019 legislative session. In November, educators and school children got a champion. The homeless got an advocate and environmentalists got a steward. But perhaps the people most happy with Gov. Kate Brown's re-election reside in Oregon's union shops. Brown has long been pro union. She has publicly supported them and even had the president of a national teachers union stump for her during her campaign. Unions have backed Brown as well. Her six biggest union donors gave nearly $1 million combined in 2018. Now, with Democrats having a stronger majority in the House and Senate, union leaders say it's time to push their pro-worker agenda. "It's time to do something bold," said Melissa Unger, executive director for Service Employees International Union Local 503, which represents about 70,000 state workers and caregivers. Unions have weakened through the country compared to their power in decades past but remain strong and active in Oregon. In the 2018 election, SEIU 49 gave House Speaker Tina Kotek $50,000 though she had no serious challenger. SEIU 503 provided $42,000 in in-kind contributions to Future PAC, which covered wages, general expenses and surveys. Future PAC is the House Democrats' campaign fundraising arm. 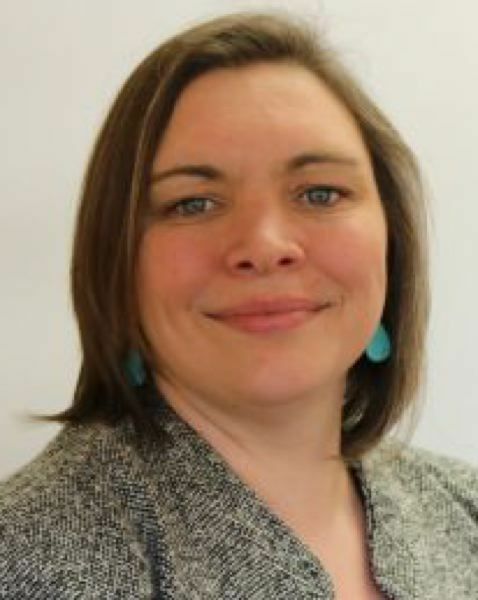 The Oregon Education Association gave Sen. Shemia Fagan's campaign $15,000 and she received $20,000 from the Oregon chapter of the American Federation of State, County and Municipal Employees, despite having a large lead in her primary contest. Unions also gave to the Senate Democrat Leadership Fund, which then spread money around to various caucus leaders. SEIU gave $15,000 to the PAC in 2018 in the form of travel expenses and wages. The national AFL-CIO gave $10,000. House Majority Leader Jennifer Williamson also got $10,000 from AFL-CIO, as well as $13,500 from Local 48 Electricians. United Food & Commercial Workers Union Local 555 gave Sen. Rob Wagner, chair of the Senate Education Committee, $5,000 in 2018, as did the Oregon School Employees Association. With the Legislature convening, union lobbyists will be a significant presence. Unger said her union supports higher taxes for businesses and wealthy individuals and legislation to improve the cost of housing and to help education. Her primary focus during the session, though, will be the 30,000 caregivers SEIU represents. She said their work, often underpaid, underappreciated and done by women, can be vital to rural economies. "How do we create systems to really lift up this work?" she said. "It's often low-wage work, but it is at the core of how families succeed, and something we should really value as a society." The union wants a smoother regulatory way for home workers to move to jobs in other places, such as a nursing home. She also wants a central background check system. Unger said under the current system, she has seen website advertisements for jobs such as coming into a home to bathe an adult. That's unregulated, she said, and isn't safe for workers or clients. The union also wants to help renters, supporting limits on rent increases. Unger was pleased with the election of Fagan and her appointment to chair the Senate housing committee. "There needs to be a bold action plan," Unger said. "How do we ensure people do not lose their homes?" SEIU 503's labor contract with the state runs through the year. Ben Morris, union spokesman, said the union would soon release details of pay increases it will seek when bargaining on a new contract begins this spring. SEIU is also pushing for increased funding for education, something at the top of Oregon Education Association's agenda. During the past 30 years, Oregon has cut programs like career education, art and physical education while class sizes ballooned and graduation rates fell, according to an emailed statement from John Larson, president of the Oregon Education Association. The union represents 45,000 workers, many of whom have felt the impacts of decades of education spending cuts. "Students deserve better, and significantly increasing school funding from pre-K to higher education will make a huge difference," he said. Larson also rejected the idea of cutting into retirement funds as a way of fixing the state's public pension deficit. "Current employees are not the cause of the state's financial woes, and further reductions to their benefits will not solve the problem," Larson said. "We must ensure all educators have access to healthcare benefits." Brown has proposed a $2 billion increase in education funding, which Larson said is a good start, but doesn't go far enough. "The Joint Committee on Student Success has made it clear that far more investment is needed, and as educators we know that our students need even more," he said. Unions as a whole could receive some relief from a recent U.S. Supreme Court ruling finding employers cannot demand dues from public employees on behalf of their unions. The decision found employees had the right to opt out of paying dues which went to fund initiatives of the workforce at large, such as wage negotiations. Draft legislation introduced by Rep. Paul Holvey, D-Eugene, would attempt to fill the funding gap created by the high court's ruling. Rather than have money come directly from employees' checks, it would come from the employer. The money would be used to fund collective bargaining, not for political purposes, such as campaign contributions. Mike Tedesco, general counsel for the Oregon School Employees Association, drafted the legislation. "Under the law of the state of Oregon, it's an unfair labor practice for a union not to represent everyone in the union, whether they are a member or not," he said. The Oregon Freedom Foundation, supporters of the high court's ruling against unions, quickly came out against the proposal. "The bill — a wolf in sheep's clothing — first recognizes the newly affirmed rights given to workers in the (supreme court) decision," Aaron Withe, the chapter's director, said in a press release. "Later, however, it creates a slush fund from which the state would pay the unions directly rather than deducting dues from workers' paychecks." Greg Stiles, spokesman for House Republicans, said overall his caucus hasn't paid much attention to the unions' priorities going into the session except for Holvey's bill. "Instead of collecting money from employees, the unions will get the money directly from the public agencies or the state," Stiles said in an emailed statement. "Taxpayers should see this bill for what it is, an attempt to re-funnel money designated for classroom teachers and other to public employees that will inevitably be used to keep government unions dictating what Democrats do in the Capitol." While some unions specialize in a specific area, Oregon AFL-CIO takes a broader approach, advocating for workers at large, Political Director Jess Giannettino Villatoro said. The Oregon chapter represents 46 affiliated unions and a total of 300,000 workers. "We did a lot of work to make sure Gov. Brown got re-elected," Giannettino Villatoro said. "I am definitely hopeful." She said the federation would push for expanded paid family medical leave, revenue reform, public defense reform and tenant protection. Giannettino Villatoro said the union wants to increase workplace protection for employees and extend the time to file a state complaint or sue over harassment. "It would give folks more time to come out of the tailspin you're in when you're subjected to sexual harassment," she said. Currently, employers can seek a nondisclosure agreement and a no-rehire provision as part of severance or a settlement regarding a harassment claim. Giannettino Villatoro said employers should be banned from seeking such limitations. She also said the federation has noticed workers are increasingly being classified as independent contractors and the federal plans to push to modernize the test for this. The union, she said, wants to be sure Oregon's good economic fortunes are shared. "Most of Oregon's working families are not feeling the booming economy," Giannettino Villatoro said.